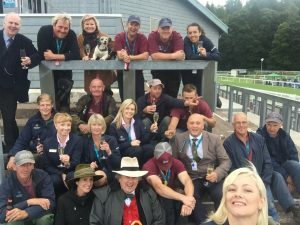 Cartmel Racecourse is delighted to have been named as a Finalist for the prestigious Showcase & Awards, hosted by the Racecourse Association (RCA). The Showcase & Awards is the marquee event of British racecourses that annually celebrates first class customer experience in partnership with Moët Hennessy, Racing Breaks, Racing Post and Great British Racing. Cartmel Racecourse has been listed as a Finalist in two categories this year including ‘Best Campaign’ and the ‘Racing Post Readers Award’. Readers of the Racing Post have again broken the record for entries in this award with over 1,800 examples of first-class customer service put forward altogether. Having whittled the entries down to just five in each category, the independent judging panel for the Showcase Awards will now select an overall winner to be crowned at the ninth annual RCA Showcase & Awards to be held at Aintree Racecourse on Thursday 8th November.